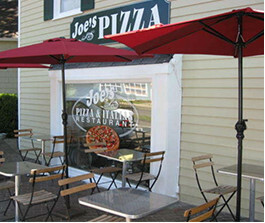 Welcome to Joe’s Pizza &amp; Italian Restaurant established in 2006, we have become a local favorite in Westport, serving a variety of homemade Italian dishes, pizza and amazing salads. Come in and enjoy a display case full of pizza rolls, calzones and daily variety of pizza slices. 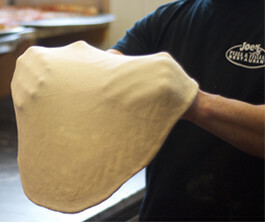 Our pizza dough is made daily on site, you can watch us prepare it and roll it every afternoon. 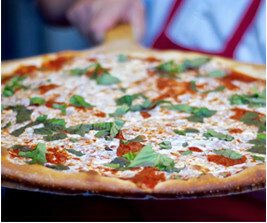 We use the finest mozzarella cheese from Wisconsin and our pizza pies are all stretched by hand. Produce is delivered from New York’s Bronx terminal market and meats delivered by a local butcher to ensure the highest quality product. Salads are always fresh and portions are abundant. 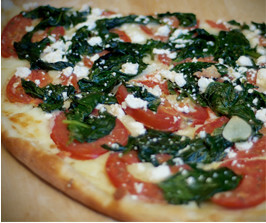 Call us for delivery and pick up or come in and enjoy your meal in our dining room, served by our friendly staff. BRING YOUR OWN BOOZE, we will provide wine glasses and open bottles at no extra charge.